Nigeria Police has reacted to President Muhammadu Buhariâ€™s approval of a new rank salary structure for officers and men of the force. It assured President Buhari that it will demonstrate greater commitment to guaranteeing adequate security for all citizens nationwide. The Force Spokesman, Ag. DCP Jimoh Moshood, made the assurance on Tuesday night in a statement issued to newsmen in Abuja. Recall that President Buhari in giving his approval to the adjusted salary structure, said it will take effect from 1st of November, 2018. He noted that the more efficient the Police is, the more confident the Government and Citizens will be. 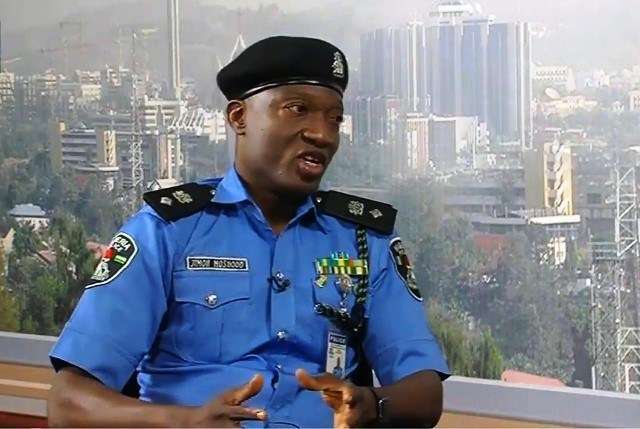 However, Moshood said the Inspector General of Police (IGP), Ibrahim Idris, has directed that the entire personnel of the Force must reciprocate the Presidentâ€™s gesture and concern for the welfare of officers as to whom much is given, much is expected. He urged them to re-double their efforts, be more dedicated and committed to duty to reduce crimes and criminalities in the country to the barest minimum. The statement reads in part: â€œThe Inspector General of Police, IGP Ibrahim K. Idris, NPM, mni, assured the President, Federal Republic of Nigeria that the Nigeria Police Force will redouble its efforts to guarantee adequate security nationwide and also ensure secure environment for free, fair and credible elections throughout the Country in the forthcoming 2019 General Elections. â€œThe Inspector General of Police has therefore directed that the entire personnel of the Force must re-double their efforts, be more dedicated and committed to duty to reduce crimes and criminalities in the Country to the barest and reciprocate the Presidentâ€™s good gesture to the Force, as to whom much is given, much is expected. â€œThe Force therefore will not tolerate any lapses, dereliction of duty and other unprofessional conducts from any officer in the discharge of their official responsibilities. Commissioners of Police and their supervisory Assistant Inspector Generals of Police are to educate their Personnel on the newly approved Rank Salary Structure Adjustment. â€œTraining and Seminar have been held for Officers in charge of the Mechanized Salary Section, Police Accountants and Auditors attached to all Police Formations across the Country on the modalities for implementation of the newly approved Rank Salary Structure Adjustment.